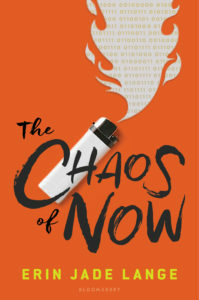 It’s 2018, and that means The Chaos of Now comes out THIS YEAR! I can’t wait to share Eli’s story, and I’m thrilled that I no longer have to wait to share the COVER for this book. I’ve been sitting on it for months, and I can finally reveal it. Later this month, I’ll have an excerpt here as well. So, without any further drum roll, here it is… the cover for The Chaos of Now, coming fall 2018.